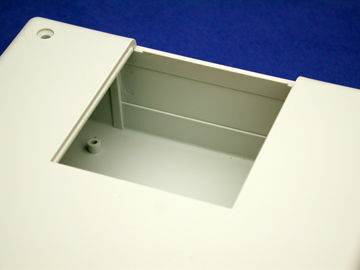 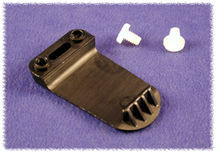 Two keyhole knockouts are molded into the inside of the base to facilitate wall mounting installation. A black nylon belt/pocket clip (Hammond Part Number 1599CLIP) or in grey nylon (Hammond Part Number 1599CLIPGY) is also available (see photo below). 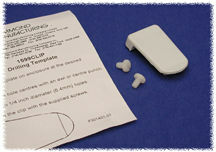 Download drawings in: Adobe PDF file 1599CLIP.pdf (36K) or CAD drawings (both .dxf & .dwg) 1599CLIP.zip (28K). 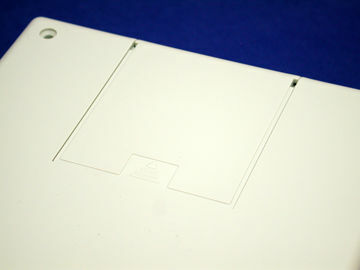 Also available in a EMI/RFI shielded version. 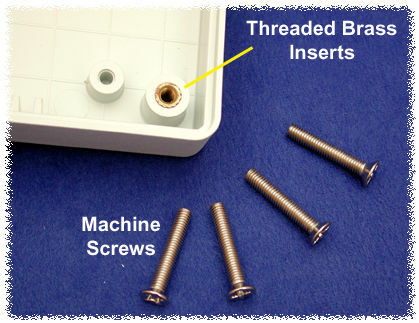 assembly and disassembly of lid.